A car meet with an accident near SBI Bank gate in Bank Tinali due to break failure. 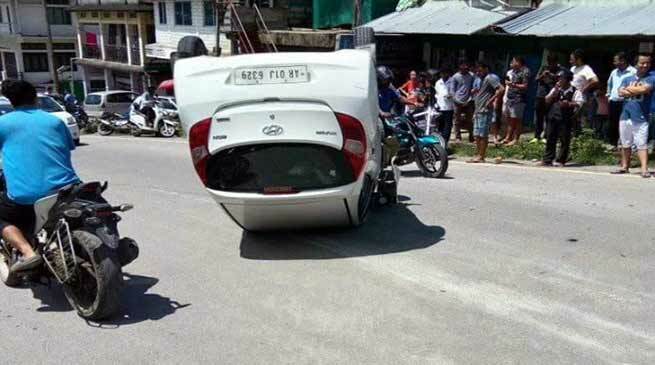 The car hit one Nano car and had tumbled over thrice following break failure. However there were no major injuries reported. The driver of the car jumped out while the car kept tumbling over.